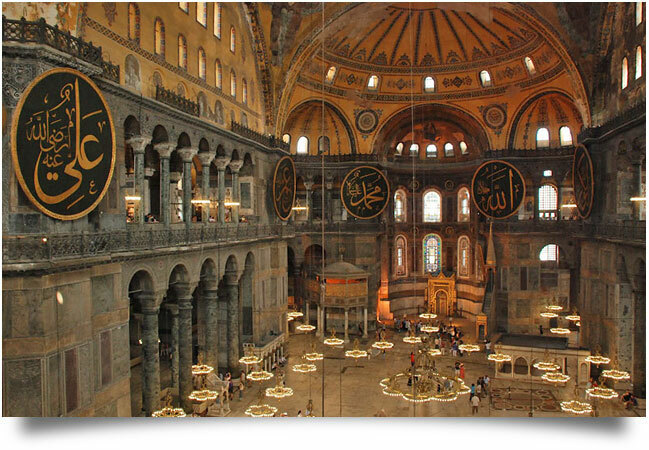 Holy Wisdom, Turkish Ayasofya) is a former patriarchal basilica, later a mosque, now a museum, in Istanbul, Turkey. 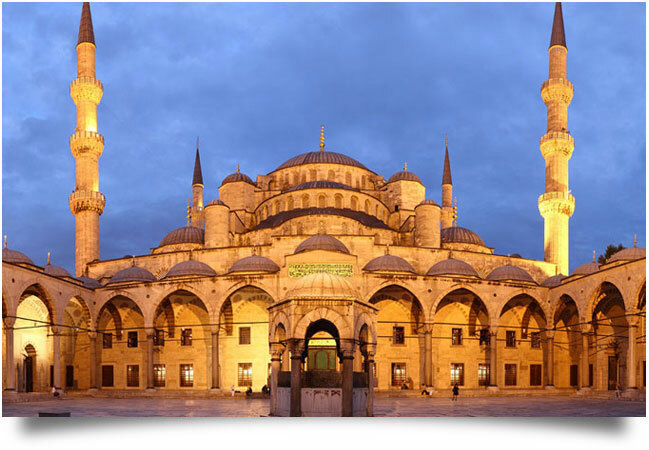 Famous in particular for its massive dome, it is considered the epitome of Byzantine architecture and one of the most beautiful buildings in the world. It was the largest cathedral in the world for nearly a thousand years, until the completion of the Medieval Seville Cathedral in 1520. Topkapi Palace was not only the residence of the Ottoman sultans, but also the administrative and educational center of the state. 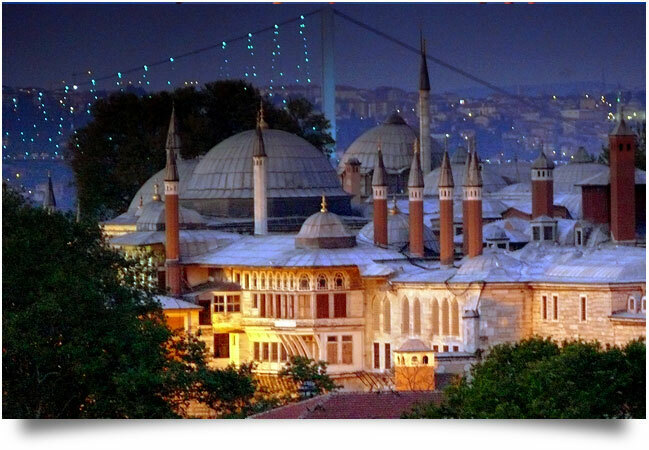 Initially constructed between 1460 and 1478 by Sultan Mehmed II, the conqueror of Constantinople, and expanded upon and altered many times throughout its long history, the palace served as the home of the Ottoman sultans and their court until the middle of the 19th century. In the early 1850s, the palace became inadequate to the requirements of state ceremonies and protocol, and so the sultans moved to Dolmabahçe Palace, located on the Bosphorus. But despite this move, the royal treasure, the Holy Relics of the Prophet Muhammad, and the imperial archives continued to be preserved at Topkapi, andsince the palace was the ancestral residence of the Ottoman dynasty as well as the place where the Holy Relics were preserved Topkapi continued to play host to certain state ceremonies. Following the abolishment of the Ottoman monarchy in 1922, Topkapi Palace was converted into a museum on 3 April 1924, on the order of Mustafa Kemal Atatürk. Topkapi Palace, which developed and grew over the centuries, had a design that itself played an important role in Ottoman governmental philosophy and in the relations between the palace and its subjects. 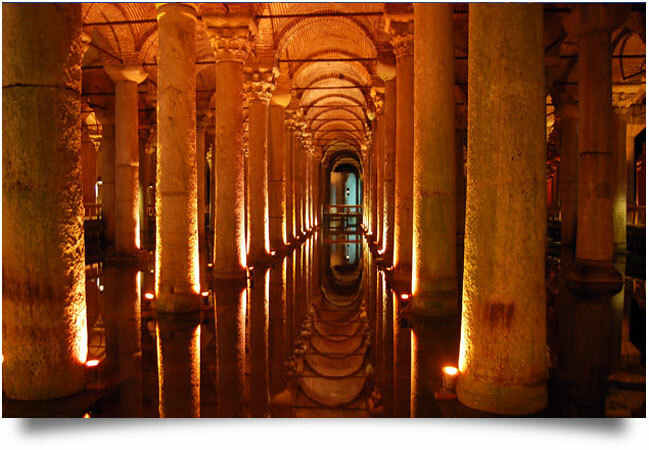 When Topkapi was first built, its plan was influenced by the splendor of the Edirne Palace located on the Tunca River, which had been constructed by Mehmed IIs father, Sultan Murad II (r. 142144, 144651) but very little of which survives today. The basic design of the palace is centered on various courtyards and gardens, around which are arranged offices devoted to state business, the buildings and pavilions serving as the residence of the sovereign, and the buildings set aside for the court employees who lived in the palace.